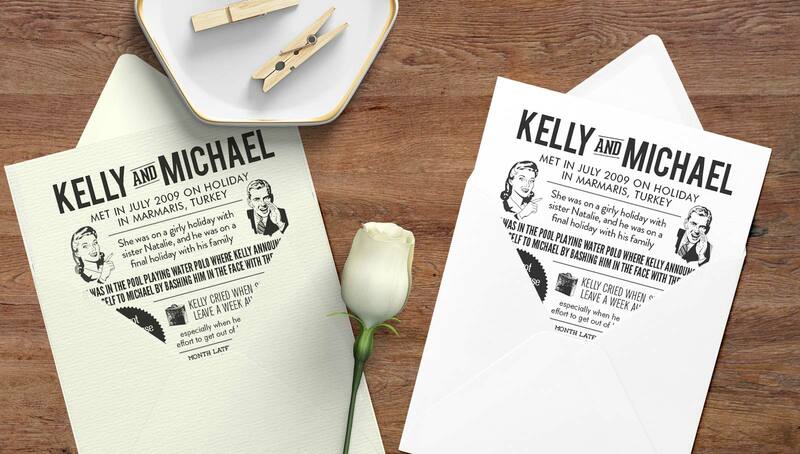 We love vintage design and so will your wedding guests! Share your love story from when you first met, getting together, and your shared moments on our beautiful wedding invitation design. Vintage in style, we’ll help you highlight those sweet and funny moments for your guests to enjoy. 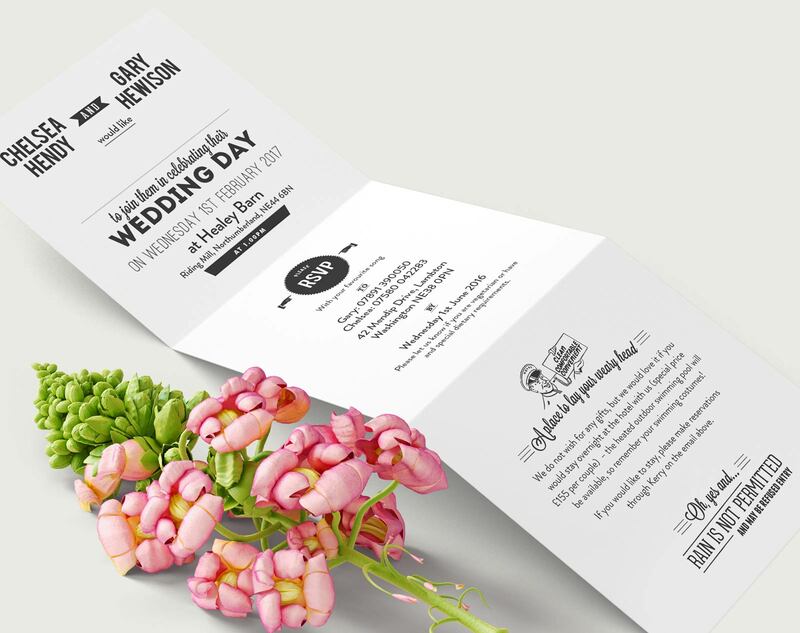 Narrow and long when flat, the invitations fold in a z-shape to fit nicely into matching square envelopes. The reverse side of our story invitations is home to the details of the day, including room for guests name, venue and date details.